Hi everyone! I hope you've all had a good week, my week has been fairly hectic but hopefully most of the weekend should be quite relaxing with no plans- just how I like it, so I can just do anything or nothing! A couple of weeks ago I found this really cute navy faux fur jacket in a neighbouring towns Haven House charity shop for just £15. It's collarless and is perfect for wearing with roll neck jumpers and scarves and is super cosy and soft too!! The lining is in a contrasting purple and blue pattern and being navy means it's going to be so versatile and go with a lot of items already in my wardrobe. 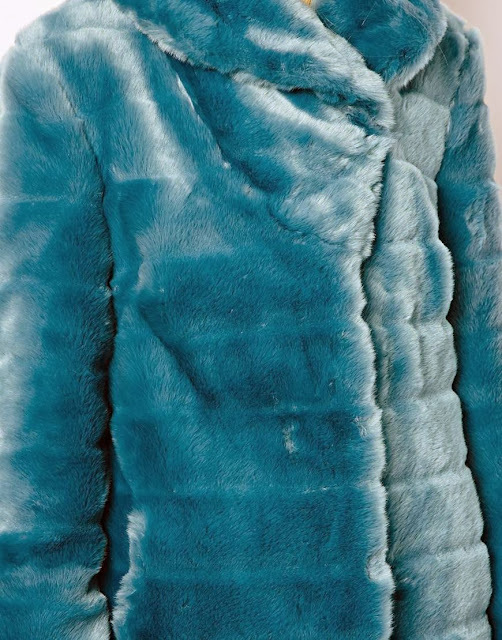 Is coloured faux fur on your radar this season? Do you already have some coloured faux fur in your wardrobe that you've started wearing already? Wishing you all a really fabulous weekend and hope your plans or no plans go as scheduled!! What a fabulous find. That will look great for the winter. Hello! That's a nice find! The colour is great too! 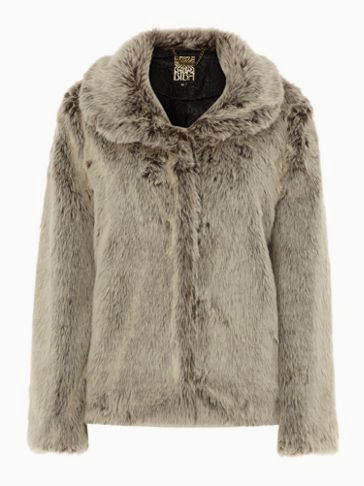 I love faux fur and I have a really nice short grey faux fur hooded coat I've had for 10 years. It's from Next and it's reversible so you can wear it fleece side or fur side out. It's very snuggly! I've sold nearly every one I own at my vintage fairs recently. I can get hold of them quick enough. I love my vintage faux fur jacket also bought from a charity shop, some years ago. But my big "thrifty" news is that at last the weather was cold enough yesterday for me to wear my bargain Land's End boots that you told us about earlier in the year. I can't thank you enough - they are soooo warm as well as stylish. I love the wine colored jacket.. rich stunning color! But in Dubai where do I go with it? I have a shaggy grey and black faux fur jacket, they really are so warm x I had a hectic weekend in Barcelona, missed my lie in!